Engineering a Good product will result in a well manufactured usable electronic equipment or appliance. Product Safety, Reliability, Serviceability, Maintainability, RFI-EMI immunity are some factors to study. When you wish to Begin to learn Electronics, first a short study of Physics is essential, secondly some Electronics theory. Then build simple and small gadgets to learn Practical Electronics while working with Educational Hobby Circuits. Lastly to make your own product designs, a fundamental knowledge of Analog and Digital Electronics is the foundation for your next steps into Engineering a Design. The basic building blocks for most circuits are Chips or ICs. You can acquire considerable knowledge by studying Application notes of National Semiconductor and Texas Instruments to start with. When you want to use a Microprocessor or Build Your Own Microcontroller Projects, you can study the documents at Atmel and Microchip to begin. The Specifications and Behavior of Passive Components like inductors, capacitors and Resistors; Discrete Semiconductors; Power Devices. and RF Components have to be understood well, in order to design sturdy Industrial Grade Designs eg. ST. The Technology related to the equipment used for Testing, Troubleshooting and Calibration is called Test & Measurement, Here we use Test Instruments like Oscilloscopes and Digital Multimeters. Medical Electronics and Military Designs require more meticulous, robust and dedicated designs with higher reliability and accuracy. In Medical electronics product safety is vital, Consumer products should be affordable without compromising Human Safety factors. Then you need to look into Usability or Ergonomics, which is a science that helps us develop practical and cost-effective products, which have an optimum Man-Machine Interface. EMI, ESD, RFI are other important aspects that deals with Electromagnetic, Electrostatic and RF; Noise and Interference; in the Stable performance of products in Real World Harsh Environments or the Reliable Transmission of data. Lastly Computing and Communication makes products more versatile in any application. EDA, Technical Computing and Systems Engineering helps creating products and complete process solutions. Automation and Control is the predecessor of Robotics and Mechatronics. A Jump Start, Practical and standard reference for Process Control is at at Omega Technical Reference. A Control system is made of Sensors sending acquired data to a Controller which operates Actuators to manage the process in Real Time. Starting from a Bimetal Thermostat to a SCADA, the controller has grown from mechanical -- electrical -- analog -- digital devices to microcontroller-computer based equipment. Both in Control Systems and Robotics the Collaboration between Robots or Control Units, leads to the development of wireless network of Interactive, Intelligent and Distributed Self Governing Systems. The outcome is Web Process Automation, Web Applications based Solutions in Monitoring, Analyzing and Configuring these Sophisticated Networked Systems. 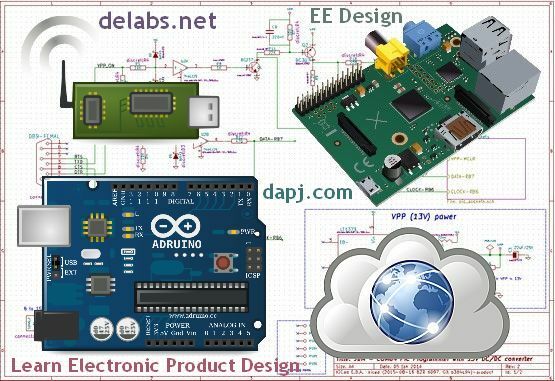 delabs Schematics - Electronic Circuits and Diagrams. Customer Interaction and Communication to make a specs sheet and drawing. Block Diagram, feasibility, cost, risk, samples demo and study similar ideas. Effective designs are cost effective within customer budget, draft BOM costing. Circuit and Code design and get more inputs from customer and then freeze specs. Build Dummy for ergonomics and discuss, Prototype and start test at site or simulate. Calibration and testing and production documentation drafts final costs. Pilot Production of a small batch, rigorous test batch, and freeze production documents. Documents and Prototypes to be given to Production Engineering. Production Engineering continue engineering maintenance and quality issues. a. Electronic Engineering Circuit Design, PCB Design, EDA. a. Design Automation. Design and Simulation with Computer. b. Computer Aided Design Design on Computer, Breadboard test. a Ergonomics User friendly Interface of controls, display, etc..
b EMI / RFI Ext. Immunity to external electrical disturbance. c EMI / RFI Int. Reduction of Internal electrical noise generation. 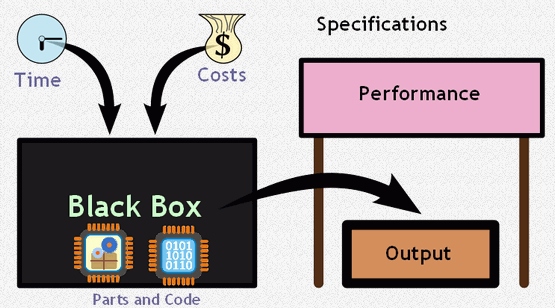 d Input Cost Selecting Cost effective components and methods. e Product Safety Eliminating shock hazard, fire hazard or stress. f Corrosion res. Resistance to Chemical Fumes, brine, gases etc..
g Reliability Long Life reliability engineering, MTBF, stability. h Serviceability Accessibility - Maintenance and repairs, Self test. i Vibration Enclosure / Components to be vibration resistant . j Ease of Manfr. Manufacture ease and provision for test and Calib..
k PC Interface RS232, GPIB, etc. for PC Control and recording. l Upgrade Ease Options, Software change, Hardware upgrades. m Quality Design, Components, Production methods. n Accuracy Specifications of performance and its stability. o Misuse-Abuse Rugged design both electrically and mechanically. a Technologies Time proven technology and Standard Parts. b Reliability Component Selection and Design Methods. c Modular Allow for incremental upgrades and Service. d Safety Margins Overrating for Voltage, threshold, speed, etc..
e Testability Test Points, Isolating Jumpers, self test mode. f Isolation High voltage isolation, User safety, grounding. g Thermal Limits Dissipation Limit, Heatsinks, Shutdown, Size. h Protections Fuses, Current Limit, Zeners, Varistors, Alarm. i Power economy CMOS Designs, LCD Designs, SMPS, Portable. j Electrical Parts Connector selection, Relays, Switches, PCB. k Precision Accuracy, Resolution, Drift, Thermal stability. EE Design Library - Electronic Product Design Resource. If Inputs are Distorted, The Outputs are Noisy. Even if the Amplifier is Very Good. If Raw Materials are of Poor Quality, The Finished Goods are Defective. Even if the Process and Machinery is State Of The Art. If the Specifications are incomplete, The Prototype will be rejected. Even if the Design and Tools are Perfect.